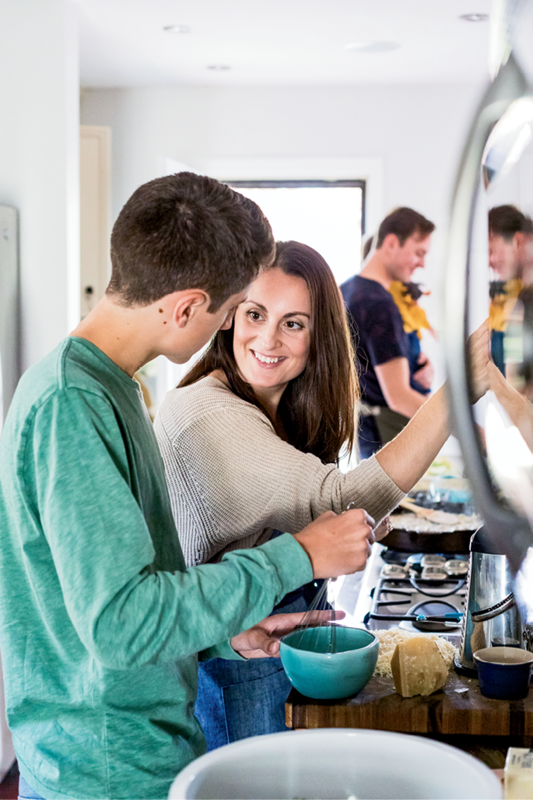 With both a teen and a tot to feed, Gillian and Spencer Zettler lean on family recipes that have proven simple yet delicious for generations. 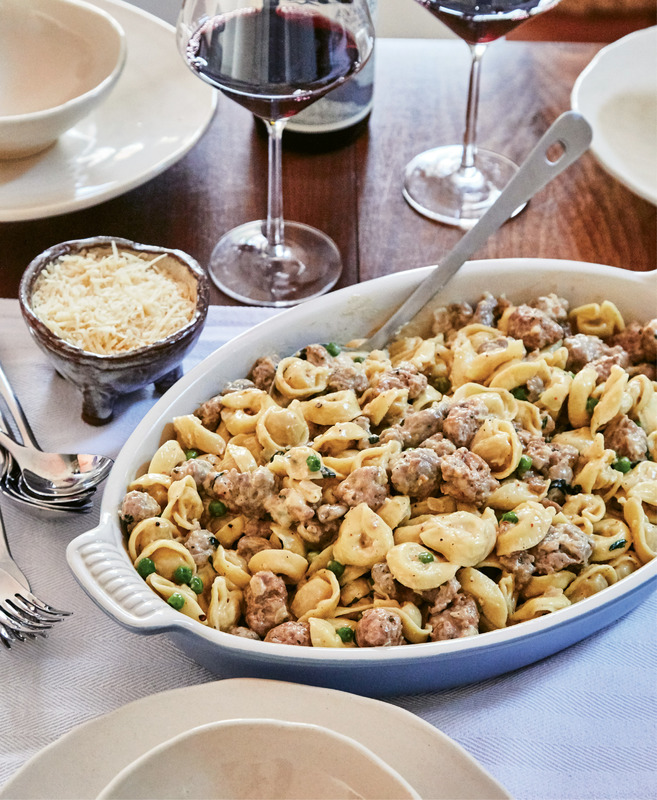 This robust sausage-and-tortellini recipe, passed down from Gillian’s grandmother and mother, is a favorite of her Italian relatives, who take comfort in the dish when the weather turns cold and gray. 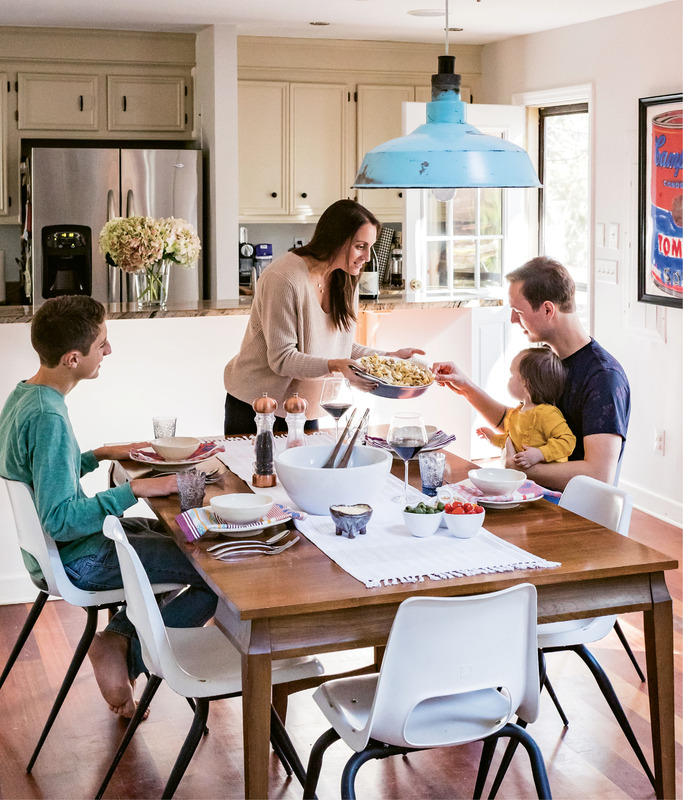 When she’s not cooking up foodie festivities, Gillian savors time with her husband and two children in their Mount Pleasant kitchen. 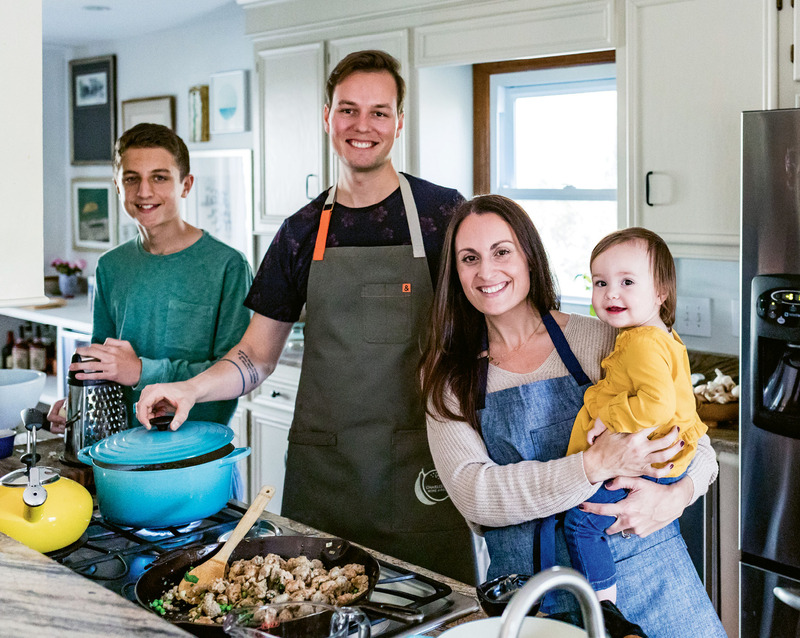 The Vermont native’s own love of good eats started during her childhood. “There weren’t any chains or fast-food restaurants around. Vermont was unabashedly local before ‘local’ was cool,” she says, noting that she relishes Charleston’s abundance of farmers markets as well as its long growing season. And though Zettler is first to admit she’s no stranger to take-out pizza, she most often draws on her grandmothers’ passed-down recipes to feed her family. 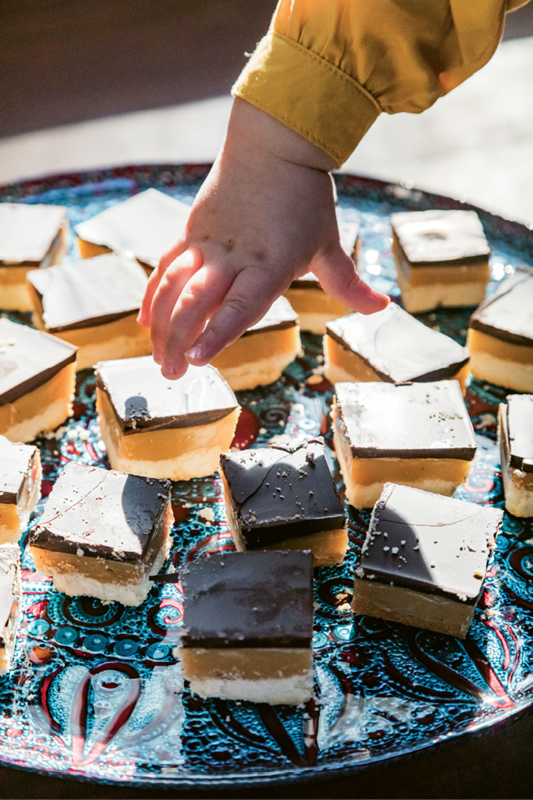 For dessert, Zettler whips up her Scottish grandmother’s Scrumptious Squares. 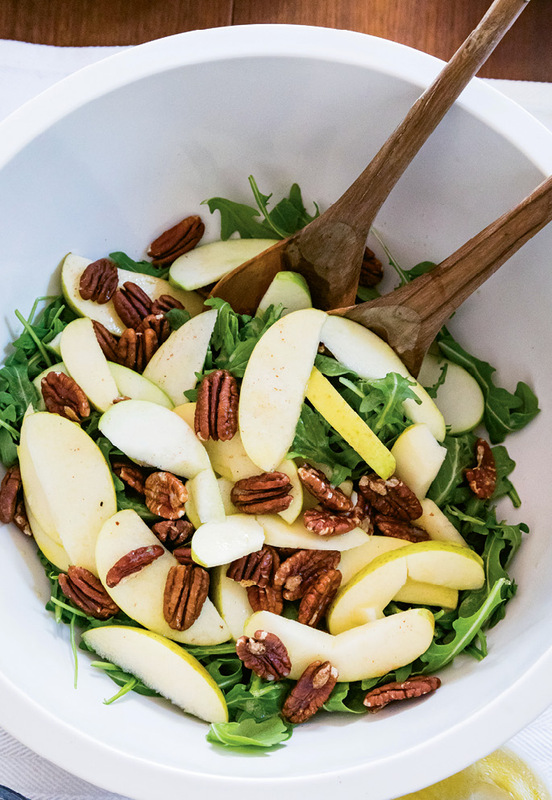 “She loved baking and could never go a meal without something sweet,” she says. “These cookies have layers of shortbread, chocolate, and caramel made from Tate and Lyle’s Golden Syrup, which is integral to the recipe and just so British.” Gillian’s grandmother uses British chocolate, but unlike the syrup (which can be purchased at specialty grocery stores and online), a substitution, such as high-quality dark baking chocolate, can be made.